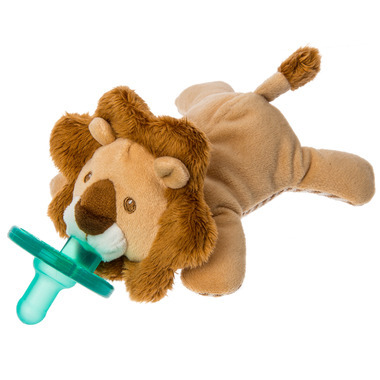 Afrique Lion Wubbanub with sewn in Soothie brand pacifier, a Mary Meyer exclusive license. 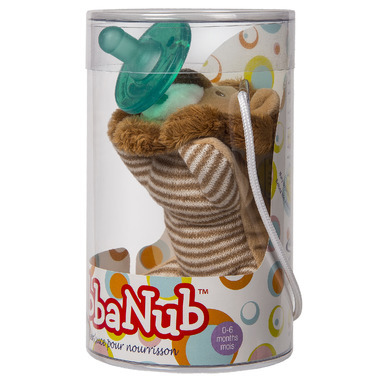 For newborns to 6 months. Latex free. BPA, PVC, and Phthalate free. No cords or clips. Embroidered eyes. Knit ear trim. Machine wash, air dry. Clear acetate packaging for gift giving.